Vale Pianos recently hosted a “Learn to Play” Day and it was so successful that another one takes place on Saturday September 29. Come along to Vale Pianos on the Throckmorton Road between Pershore and Evesham on the A44 – post code WR10 2JY. Piano lessons on this day will be from 10am – 4pm. Please phone Vale Pianos on 01386 860419 to book now. 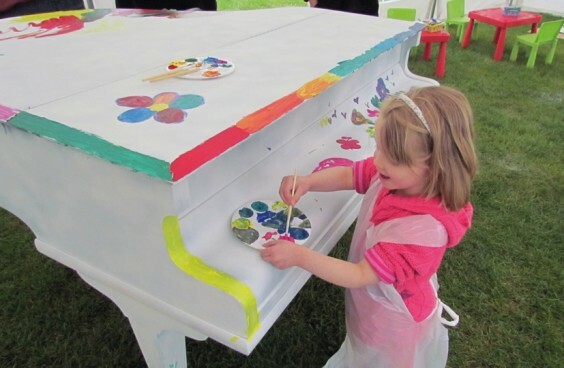 During the day there will also be plenty to keep the family busy: make music with a giant keyboard, help to paint and decorate a grand piano, and have fun with colouring, quizzes and more. Bring a picnic and enjoy all the day’s activities in a lovely rural setting. There are many great benefits to playing music and the piano is a great instrument to begin with. It has been scientifically proven that children playing an instrument can achieve better academic results in many other subjects. Social and teamwork skills improve along with memory and co-ordination, which all benefit your child’s education. There is free on site parking and staff at Vale Pianos will be happy to give advice and answer any questions you may have. They have an excellent selection of over 100 new, pre-owned and digital pianos on display. If you would like more information, visit http://www.valepianos.co.uk or phone 01386 860419.